MTSU cellist, 3 guests plan fr.. Learn about people behind the ..
A forensic scientist whose meticulous research laid the foundation for investigating — and finding answers for — mass disasters such as Hurricane Katrina and United Flight 93 will reveal some of his techniques at MTSU Tuesday, Oct. 27. Dr. Dennis C. Dirkmaat will speak on “Mass Disaster Scenes and Forensic Archaeology: Recent Research and Case Studies” at 6:30 p.m. Oct. 27 in the second-floor ballroom of MTSU’s Student Union. His free public talk is part of the university’s William M. Bass Legends in Forensic Science Lectureship, presented by MTSU’s Forensic Institute for Research and Education, or FIRE. A searchable, printable campus parking map is available at http://tinyurl.com/MTSUParking2015-16. 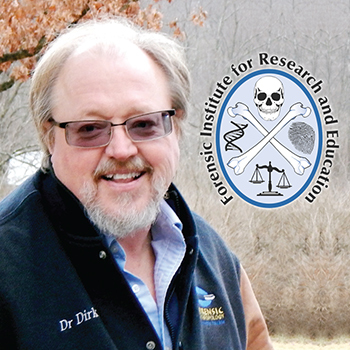 Dirkmaat is chair of the undergraduate applied forensic sciences program and the master’s program in anthropology at Mercyhurst University in Erie, Pennsylvania. Since 1986, he’s conducted more than 560 forensic anthropology cases for nearly 60 coroners, medical examiners and state and local police in Pennsylvania, New York, Ohio and West Virginia. He’s participated as a primary forensic anthropologist in commercial plane crash incidents in Pittsburgh, Guam and Rhode Island, as well as natural disasters including Hurricane Katrina and the Haiti earthquake. In 2001, Dirkmaat served as the primary scientific adviser during the recovery and identification of the Sept. 11 victims of United Flight 93 in Shanksville, Pennsylvania. During his MTSU lecture, Dirkmaat will detail one of his most recent efforts: working with the Erie County Medical Examiner’s Office in Buffalo, New York, to direct the recovery of victims of the Colgan Air Flight 3407 crash outside Buffalo in February 2009. That disaster, when a Bombardier Dash-8 Q400 went down in a wintry mix between Newark, New Jersey, and Buffalo and struck a house, claimed all 49 occupants on board the aircraft and one person on the ground. During his MTSU visit, Dirkmaat will discuss some of his latest research and practical experiences in documenting and collecting forensic evidence at large-scale mass disaster scenes. Through experimenting with mock disaster scenes, forensic archaeological methods and high-end technology, he developed scene-processing standards that are now used nationally. He’ll also explain how those protocols worked on a number of actual scenes, including the United Flight 93 and Colgan Air Flight 3407 crashes. Click on the flier to see a larger version.